The fourth Sunday of Advent marks one very important thing in my mind: we are ALL in now, aren’t we? Around this time, most folks have all their decorations up, they’ve completed most of the shopping and the Christmas menu is nearly planned. For us, the fourth Sunday of Advent is the real start of the Christmas season. The excitement is crackling in the air. Can’t you feel it? A baby is about to be born. A birthday to celebrate. A new life to love! Many of my most favorite family traditions center around Christmas Eve. Yes, we attend Mass, have a delicious Christmas Eve dinner, open gifts, prepare the hearth for Santa and crank the Christmas music. But there are a few things in particular that have become beloved family traditions that help focus our heart on that sweet babe, wrapped in swaddling clothes. 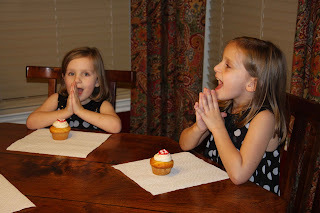 We do what any God-fearing southern family should do, we celebrate with cake and a party! After dinner, the children place the Baby Jesus in our nativity. Then, we bring out the dessert and sing “Happy Birthday, Jesus!” I have always been a fan of birthdays and making Jesus’ big day a BIG day just helps my children refocus on why we celebrate. In an age of relentless toy commercials, mail circulars and loud billboards we need to constantly remind ourselves the simplicity and the generosity of God’s greatest gift to us. Speaking of God’s generosity, we also pray. Over the past sixteen years of marriage, my husband and I began to notice that our children were fixated on how many presents they received. I mean, it’s natural, right? We all love to receive gifts and a holiday designated by society to dole them out just seems like heaven to a five-year-old. To help center our hearts, and theirs, on the sacrifice and love that went into the gift giving, we began praying over our gifts. We pray for those that made them, those that gave them and those that go without. It’s the grateful heart that we hope to foster. 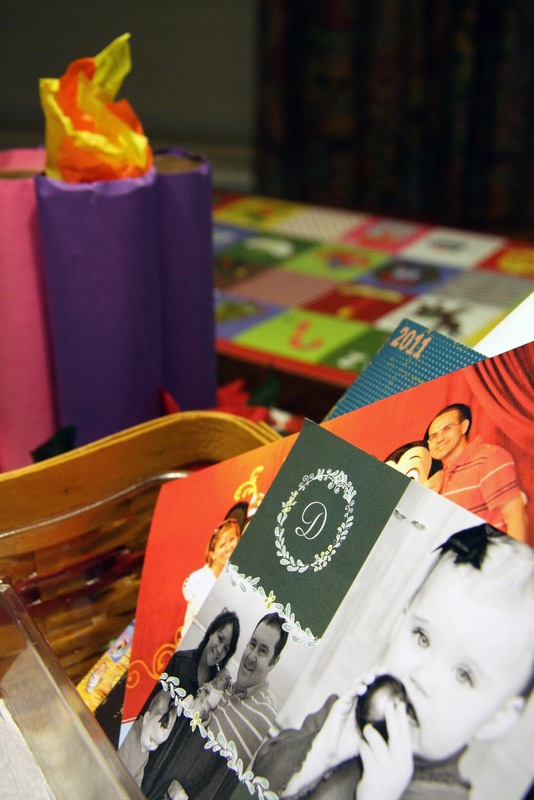 I suspect that during the Christmas season your family has received a card, or two, from friends and family. Rather than socking those cards away in box or admonishing them to the recycle bin, we pile ours in the coffee table drawer. Imitation is the highest form of flattery, I believe, and so we adopted a good friend’s tradition and made it our own. Each night, for the next year, the children race to pull out “the” card. We re-read the letter, admire the photos, share our connection to the family and then we pray for those sweet faces. It has become the highlight of our dinner hour. Without a doubt, this is the most wonderful time of the year. My greatest hope is that my children will come to love celebrating this season not for the gifts, sure to be discarded, but for the lasting and eternal promise of a Creator who will love us for eternity. Kathryn Whitaker is the mom of five children, wife to pretty amazing Catholic man and a freelance graphic designer. On her blog, Team Whitaker, she writes about what she knows: big families, carpool, her beloved Texas Aggies, prematurity, organizing, party planning and finding God in the details. She is Dr Pepper's biggest fan and loves a good Derby pie. You can find her on Pinterest, Twitter and Facebook. 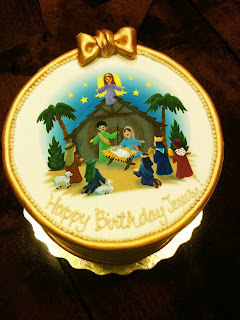 For more posts on Advent traditions and reflections check out the Advent series.